Made in the heart of the Bas Armagnac region has On the nose, aromas of wood, pine, coffee, nut and rancio. Taste in the mouth the power, fatness and ampleness of this Armagnac. The flavours are balanced with intense aromas; liquorice, coffee. Notice again the flavours that linger in the mouth after you swallow the alcohol. 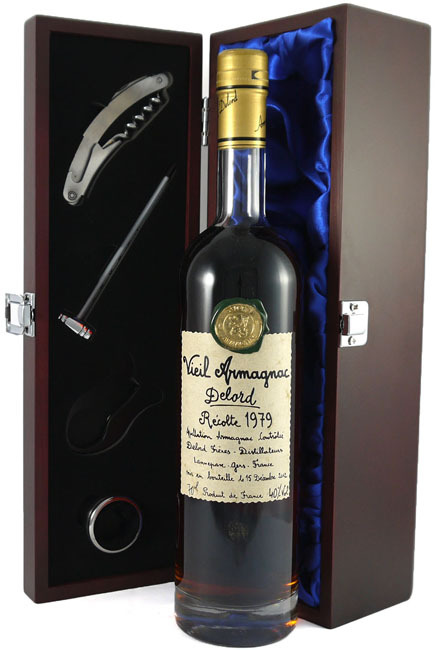 This wonderful armagnac makes an ideal gift for someone born in 1979.